The most important part of E-Unit is the E-Unit-Team. The experience of numerous missions and a solid education is the fundament of our professionalism. 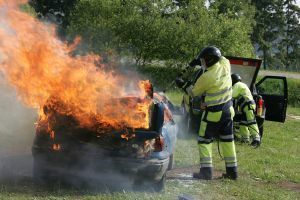 Experienced in dealing with fire and the handling of emergency equipment they bring the best conditions for the work to be done with in a motor sport event. 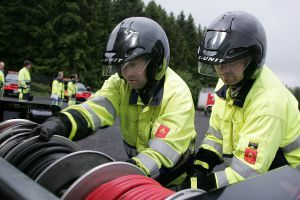 Exercises with colleagues from fire and medical emergency services, we make sure that E-Unit Employees are well prepared for missions on the race track. 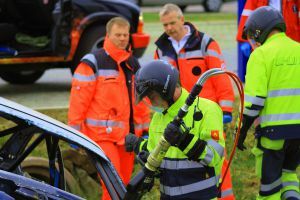 Meanwhile, 40 people were employed in permanent position and a secondary job for the E-UNIT.